Washington Blue Lion senior Blaise Tayese (9) on the field during the match at Waverly Tuesday, Aug. 21, 2018. 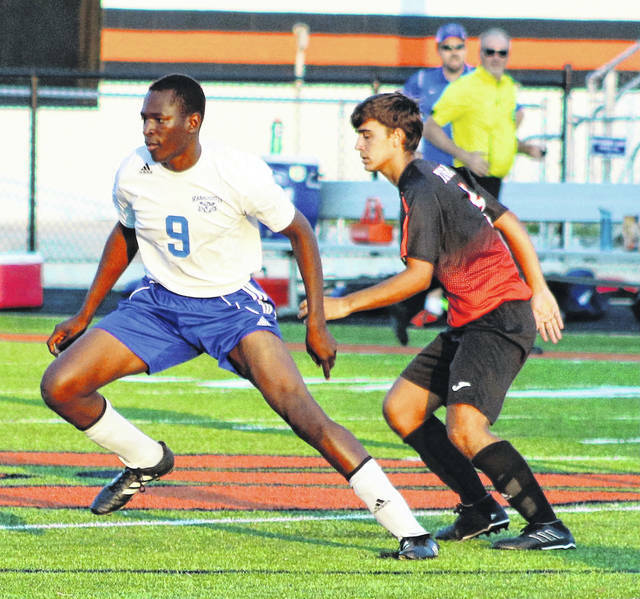 WAVERLY — The Washington Blue Lion soccer team opened the 2018 season with a non-conference match at Waverly High School Tuesday, Aug. 21. The Tigers won the match, 6-1. The goal for Washington was an own-goal from a Blaise Tayese corner kick with pressure from Grant Kuhlwein, according to head coach Aaron Teter. Washington is at Circleville Thursday and home against Wilmington Saturday at 10 a.m.